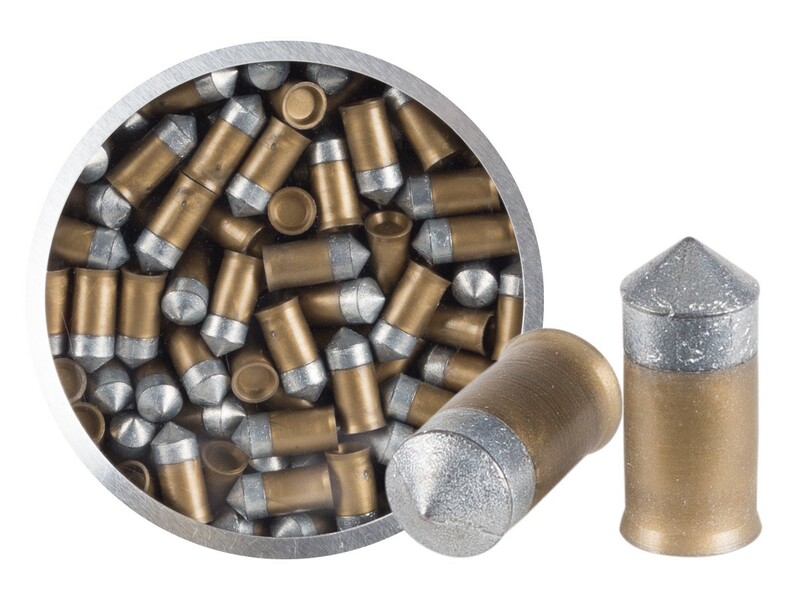 Use this PowerShot alloy pellet, which has less than 1% lead content, if you need to avoid any lead contamination on your shooting range. Things I liked: These pellets appeared to be uniform and I haven't found any of them to be deformed. Things I would have changed: Lead free pellets should be offered in heavier weights for hunting and there's a good chance heavier pellets would be more accurate. There should be a way to bring down the costs on these pellets. The current prices are ridiculous. 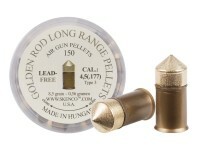 What others should know: Of the 5 lead free pellets I've tested, these are the most accurate. These pellets gave me a 1 1/4" group at a measured 25 yds, from a bench rest. I shot these pellets out of my Maximus, which gives me 1/2" groups with Baracuda Match 10.65 gr. pellets. In my opinion, these pellets should be good on squirrels out to 30 yds., maybe further. Things I liked: I shot these in my Stoeger ATAC. 177 while I still had the stock scope mounted after 500 break in shots with 7.56gr. GAMO master points. At 70 yards I had consistent 5-shot patterns of 1 and 1/4 inchs. (Picture included). Most accurate pellet I have shot out to 120 yards. With my HATSAN OPTIMA 8-32X50E-SFT mounted accuracy increased to 3/4 inch groups at 70 yards. Things I would have changed: The only thing I would change is to make a few different weights. I don't hunt,only target shoot at long range and a 10.5 to 13gr. would be even more accurate in my opinion. What others should know: Check out my videos on YouTube under AirgunSniper which will be up by February. Things I liked: Size. Accuracy. Penetration. Alloy. Things I would have changed: Price. A little cheaper. What others should know: I shot an old bbq grill with these in my Crossman Fire and it went straight through. 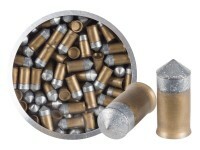 These being alloy instead of lead let your gun shoot to its maximum fps.if they made a 10.5 gr. That would be great. Yes, they fit in the Air Venturi pellet pen.